Ajax need to close a 5-point gap from PSV Eindhoven with 8 games to go in the Eredivisie 2018-19. The race to the Eredivisie title looked closer than ever with Ajax breathing behind PSV’s neck as merely two points were separating the Dutch Giants. While Ajax hit a purple patch after their win 1-4 away from home against Real Madrid in the UEFA Champions League, it looked like a matter of time before the Amsterdamm team would ease past their arch rivals in the title race. However, an AZ Alkmaar-shaped speed-breaker was all it took to halt Erik Ten Hag’s engine as Ajax’s 1-0 loss to AZ Alkmaar puts them 5 points behind PSV, once again. So what does this mean to the title race? Knowing PSV’s might, it is safe to assume that Mark Van Bommel’s men would reign supreme and reach the landmark 25th Eredivisie title for PSV, which would also be their fourth league victory in the last five years. One cannot help but think in favour of PSV as Ajax also have European football to deal with as the Champions League Quarter-final isn’t too far away. 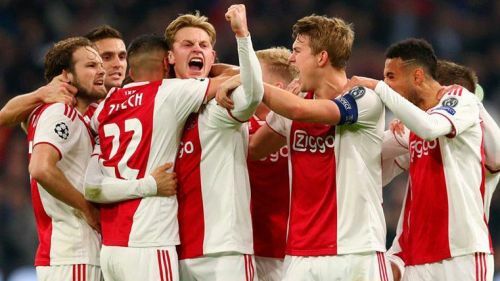 Without a shadow of a doubt, Ajax are going to have arguably their most challenging 180 minutes of football in a very long time and this means that they will need to be all fired up in order to put up a respectable fight.